The mountains, the snow, the village - photos do not do this gorgeous place justice! With an array of pubs and bars to suit even the most discerning palate and budget, après are a well-deserved indulgence after a big day on the slopes. My favourite picks would have to include GLC (literally the first bar at the bottom of the mountain – you can’t get much more convenient than that! And they do a mean Caesar! ); Cinnamon Bear for a cosy, sports bar feel and Basalt for some lovely wines, fondues, and charcuterie plates. If you're looking for something a bit more upmarket, be sure to check out Spanish-inspired Bar Oso for some lovely reds, delicious cheeses and an impressive array of gin and tonics. With plenty of accommodation options in both Whistler and Creekside, you will be able to maximise your time on the slopes. Simply roll out of bed in the morning and enjoy the short stroll through fresh powder to your closest gondola. There are a few yoga studio’s around, some offering a week of unlimited classes for a set price. After a couple of days on the slopes, your body will be thanking you for the good stretch sessions! One of my favourite studio’s was Yogacara, located right in the heart of the village. The instructors were so lovely, and they offered an array of styles including vinyassa, hatha and yin. There are also plenty of gorgeous hikes you can do when you need a break from the slopes. Weather permitting, head down to Cheakamus and check out the suspension bridge, or up to Pemberton and check out Lake Joffre. 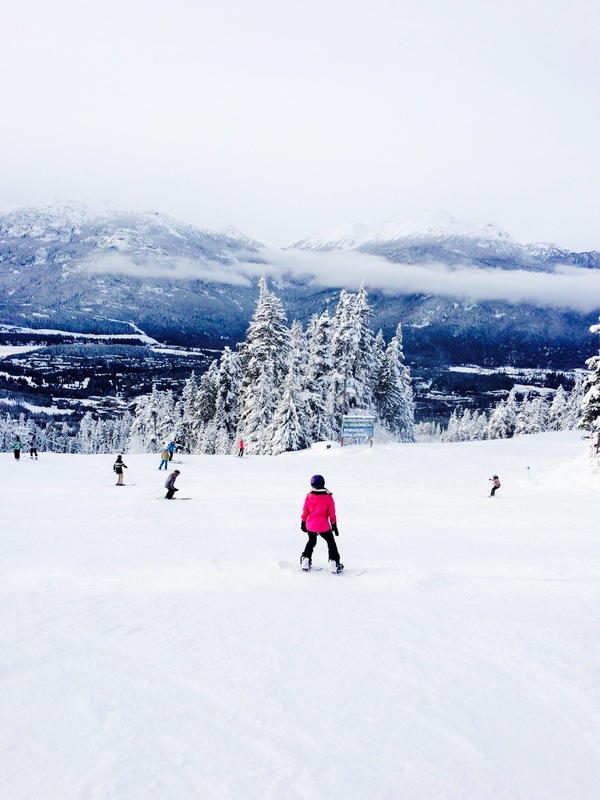 There's also an ice-skating rink in the village as well as a family friendly tubing park on Blackcomb Mountain. There's also plenty of shopping options (LuLuLemon and Aritzia were my favourite picks) - and a trip to Whistler wouldn't be complete without a visit to the Rocky Mountain Chocolate Factory for some of the best fudge you'll ever try. If your muscles need some TLC after all this exercise, check out the Scandinave Spa just north of the village. Set in the cedar forest with sweeping views of the mountain, this spa resort is the ultimate indulgence. There’s a reason why Canadians have the reputation that they do. Admittedly, you’re likely to find just as many Australians as you are Canadians, but the village is always abuzz with friendly chatter about the latest fresh powder and which ski runs are worth checking out. Newer PostRecipe: Green Smoothie Goodness! Older Post2016: Why you should book that holiday and try that class!